The song is about the Siberian Crane, one of the endangered species of the kingdom of birds, known to be left about three thousand birds around the world. The most distinct characteristic of the Siberia Crane is that they are the birds migrating the longest distance in the world. Depending on the weather and survival, they usually migrated two times in a year. They flock into big group and flown over the hills and mountain ranges over thousands of miles every year. They migrated every year to the south when the weather is not suitable for them habitat in their arctic region. 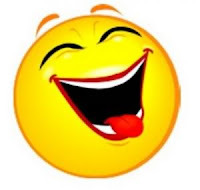 However, it is quite faithful to their home land that they will be flying back to their home land when the summer comes. 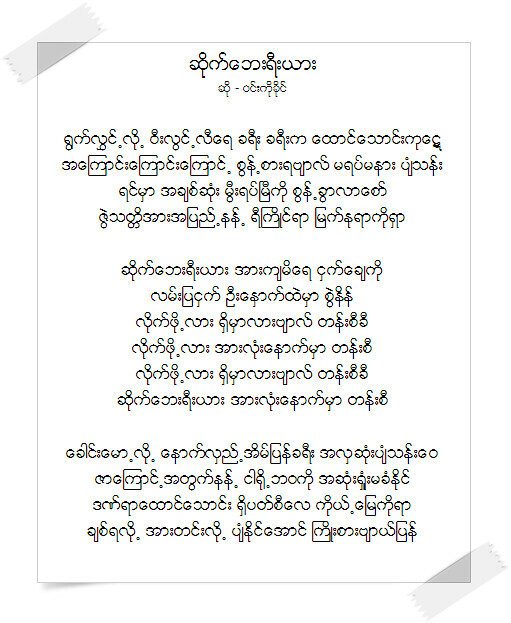 The song of Arakanese Singer, Wong Ko Khaing, featured its distinct characteristic of migration over the long distance and returning back to their home when there is ok for them. It makes me felt like singer wanted to tell me that the animal, this bird is faithful to its land in such manner. How about you and me? Will we be faithful to our land like Siberia Crane? If you wanted to, please queue in front or rear, either place you wanted to. We will be flying back to our own destiny at one day. 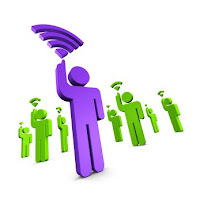 Will you want to join us? 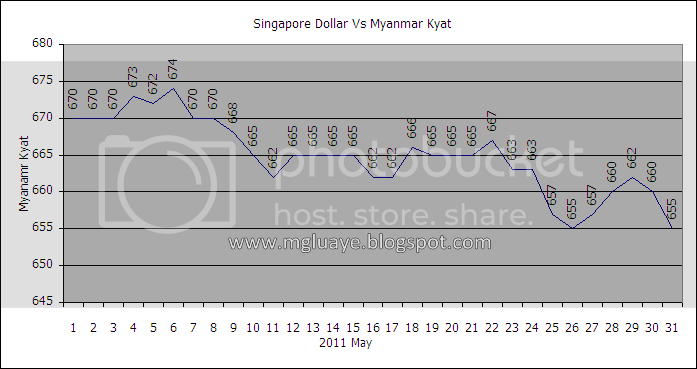 For the month of May 2011, the average exchange rate between SGD and Myanmar Kyat was 664.7742 Ks/SGD (18.2925 down from previous month average rate), highest was 674 Ks/SGD on 6th of May and fell lowest till 655 Ks/ SGD on 26th and 31st of May. 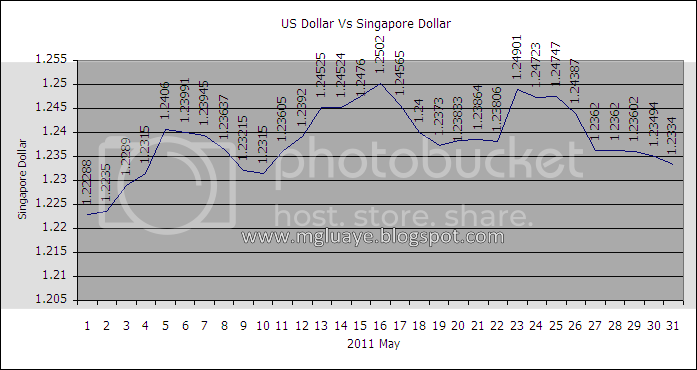 For USD vs SGD, the average rate for the month of May was 1.2385 SGD/USD (0.0075 down from previous month average rate), highest 1.2502 on 16th of May and lowest 1.2229 on 1st of May.